Need an idea for a Christmas present for a loved one or an idea for yourself ? 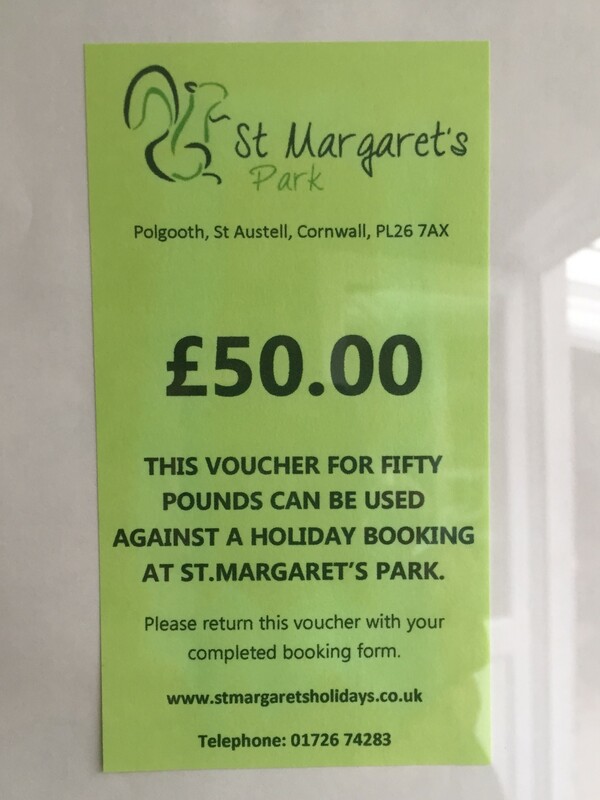 Then why not get in touch with us and arrange to receive a St Margarets Park Gift Voucher. We can issue them for any amount that you like,big or small,and get it sent out to you. Call us on 01726 74283 and let us do the rest.